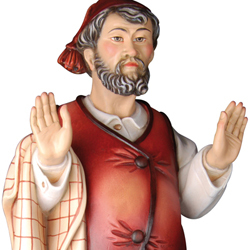 The host, who denys to give a hospice to Mary advanced in pregnancy, is represented by this statue with ostentation. Vistit the procuct! 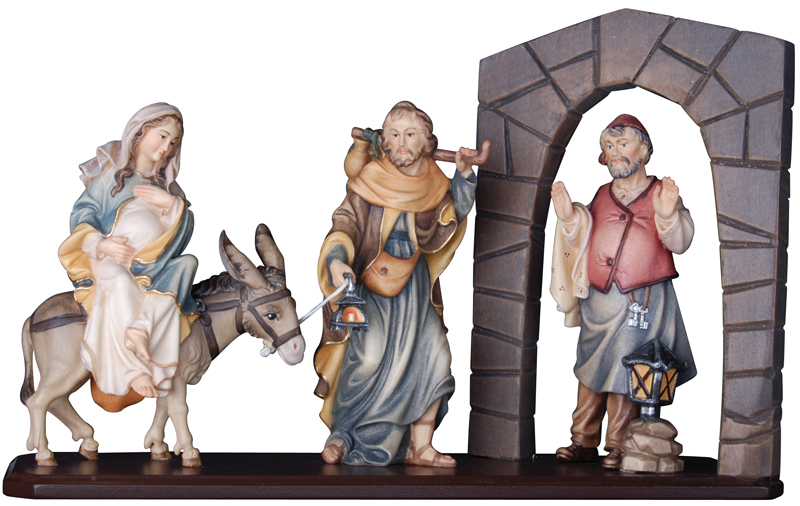 Group representing pregnant Mary on the donkey with Joseph searching for an inn to give birth to Jesus, but the innkeeper shows no comprehension for them and signals, that he has any place for them. Visit the new product! 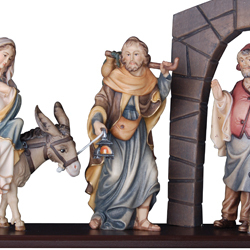 previous: Peace nativity scene: new size available!